This fun, stripy and absolutely cute crochet plushy unicorn is almost as big as your toddler! She is giant so a baby could grow with her and she would be and a big, lovely squishy stuffie friend? Who doesn’t love this? Lola the Plushy Unicorn by Ashleigh Kiser is perfect for babies and kids of all ages! 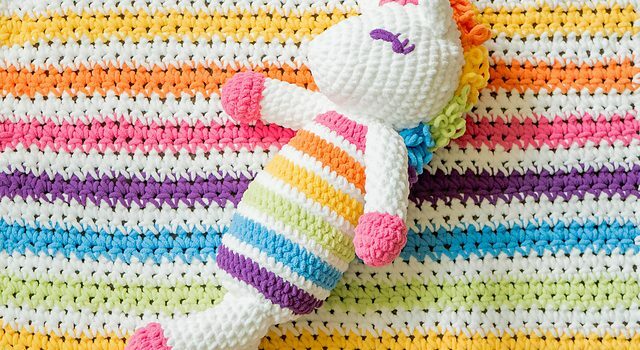 This oversized rainbow unicorn is simple to make for an intermediate level crocheter and it’s so squishable. You’ll need to know how to single crochet, double crochet, how to crochet the magic ring, the chain stitch, and slip stitch. 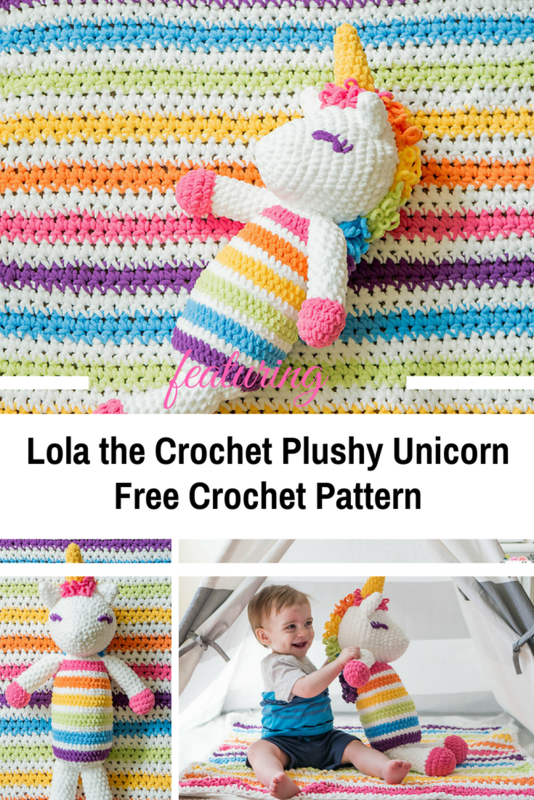 Check out Lola the Crochet Plushy Unicorn Free Pattern at: Sewrella. Thanks to Ashleigh Kiser for the article inspiration and featured image.